When you understand how competition, supply and demand, and consumer demographics impact profit and performance, you can identify market gaps, investment properties, and underperforming assets. Enhance familiar charts and tables with Esri’s powerful visualization and analysis tools, and start testing investment scenarios and predicting performance without hindering your operations. Make your findings available to everyone. 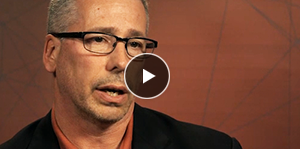 Stay in tune to the market and respond quickly to changing economic factors. Make the best decisions about what needs attention based on location. See all your data together on one map platform. 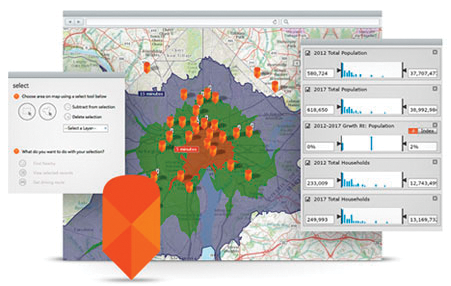 GIS and location analytics helps you see all your operations so you can streamline activities and hem in costs. Everyone can be on the same page when it comes to making decisions based on operations and performance. 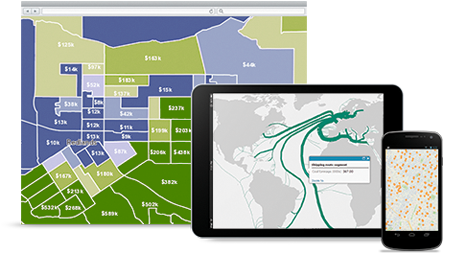 ArcGIS Online provides a cloud-based platform that everyone can use to share data, discuss scenarios and make better decisions. 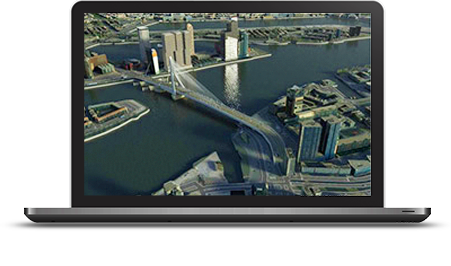 Visualize your world in 3D with Esri CityEngine. Create realistic 3D views that help you generate and distribute information easily while still in the ArcGIS Online cloud environment. Everyone can see ideas and plans in the most realistic view so they can make the best decisions. Location Analytics is used by companies all over the world to help them discover more insight out of their business data. Gain the most insight and understanding of your real estate holdings by integrating every aspect of your business with this easy-to-integrate tool.